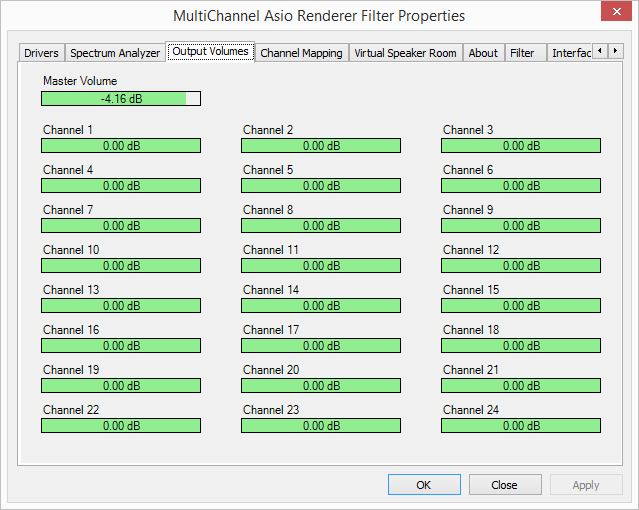 During an ongoing programming project in our school, I developed a multichannel ASIO-DirectShow filter. 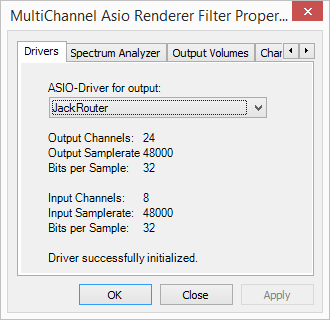 This filter provides ASIO multichannel output for any DirectShow source in Windows. 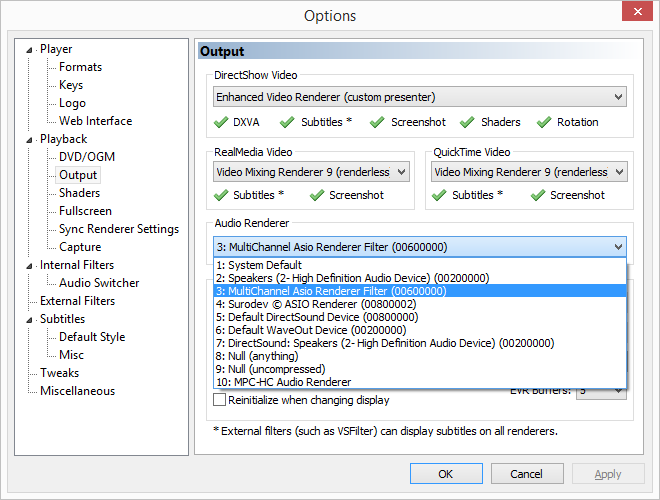 The filter can be used with almost any Windows media player that supports user-defined output filters (e.g. 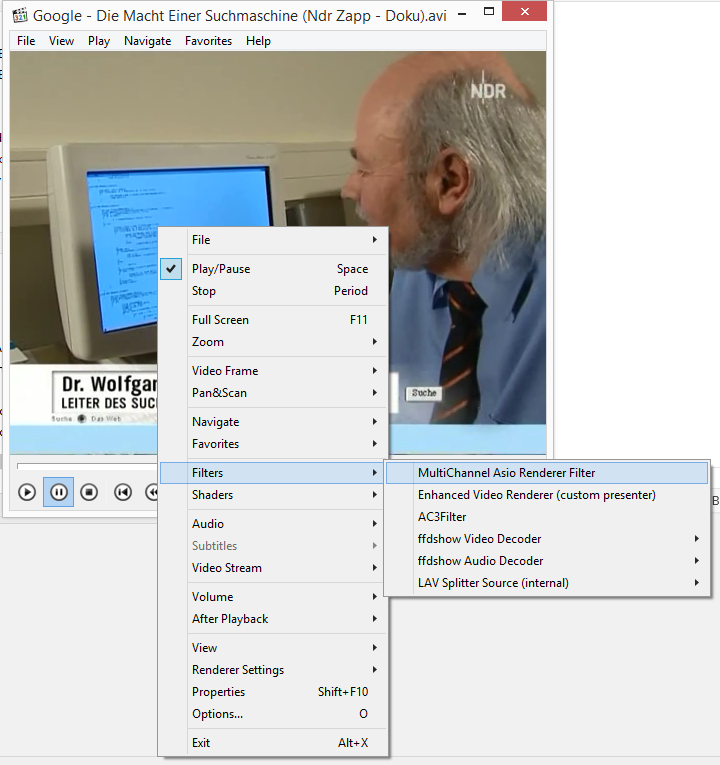 Media Player Classic, The Core Media Player, Zoom Player, RadLight, WinAmp, etc.). 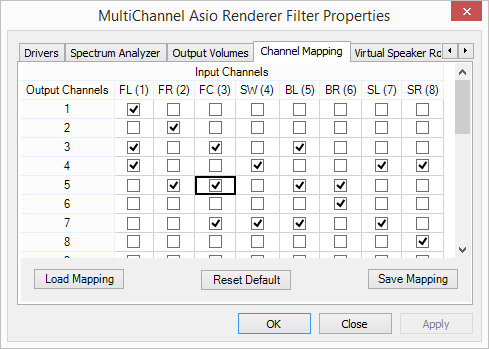 In order to use the Multichannel ASIO Renderer Filter, just download and install the software. 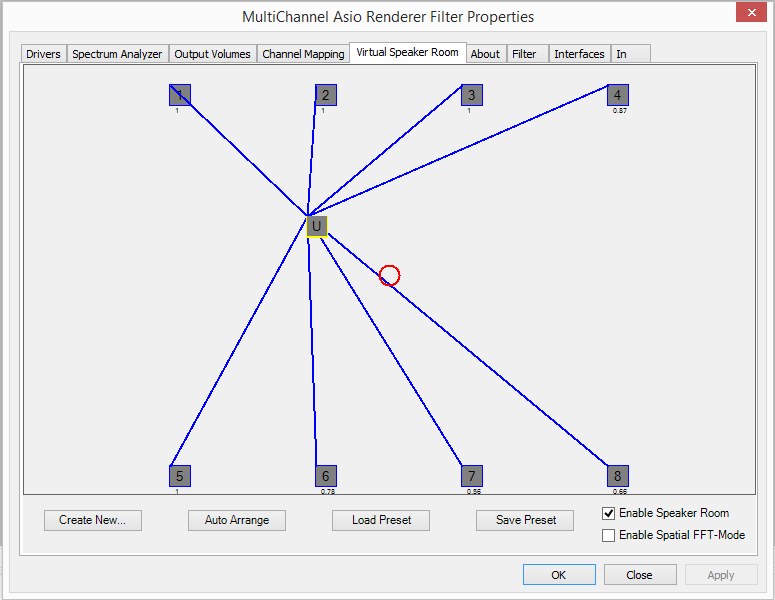 Prerequisite is .NET 4. PLEASE -DONATE- before using the software! 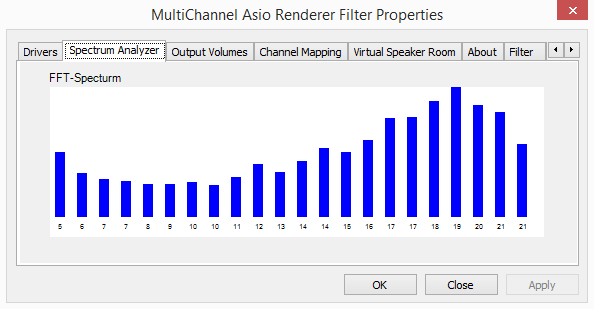 Please donate between $5 and $10 if you are using the software. Thank you!